World Wide Waftage - Wafting Through Our World Wide Travels with Ease, Joy and Simplicity: A dream come true...Antarctica, here we come!...Exciting and...pricey!...Tomorrow...the 666 day itinerary! A dream come true...Antarctica, here we come!...Exciting and...pricey!...Tomorrow...the 666 day itinerary! 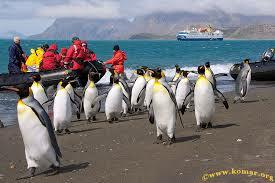 Not our photo, but not unlike the experience we hope to have on our booked cruise to Antarctica in 21 months. The cruise was booking up so fast on the day it was posted, we decided to book this far ahead. When we first conceived of the idea of traveling the world in January 2012, a few of what we considered as "must do's" in our travels have changed or have since been fulfilled. That's not to say the list isn't still extensive at this point. The more we learn about this enormous world we live in, the more we find appealing to our tastes and desires. For me, my number one dream was to see wildlife in Africa. After almost nine months on the continent, my greedy self longs for more. Someday, we'll return to fulfill my desires to return and also to fulfill one of Tom's dreams to see Victoria Falls in Zimbabwe and Zambia. Of course, that future trip will include seeing the gorillas in Rwanda, an experience we both will treasure. As for Tom in the beginning, his first priority was to visit the Panama Canal. Our first cruise in January, 2013 our ship traversed the narrow passageway at the Panama Canal which proved to be an extraordinary experience for both of us. The newly built locks in the Panama Canal are yet to open due to construction delays although the expectation is that it will be operational by the end of June. Even if the new canal its not open by the time we arrive in 2017 we still look forward to it once again as another layer in the experience. The Panama Canal is not a "final" destination, instead its a means for us to make our way to South America from our location in Central America at the time. As mentioned in yesterday's post, in November, 2017 we'll again cruise through the canal on the first of the two cruises we mentioned. As we've continued in our travels incorporating almost constant ongoing worldwide research, we've added many locations to our list of places we'd like to visit. Will we be able to see them all? Most likely not. Both time and finances have a bearing on our ability to do so. However, added to our list of "hope to see," eventually moving over to the "must see" list, Antarctica quickly moved up to the top of the list over these past few years as we conducted more and more research. We knew the price would be outrageous. As we've fine tuned our budget, we've saved and trimmed to make this possible. The itinerary for our upcoming cruise to Antarctica. ﻿Availability of Antarctica cruises for the right dates became imperative based on current bookings and, as described in yesterday's post, as we began to explore South America for the later part of 2017 and 2018. Here is a link with considerable information about cruising in Antarctica from the International Association of Antarctica Tour Operators (IAATO) that has provided us with valuable answers to questions. The quality of the cruise lines and ships became a vital aspect as we continued in our extensive research. We watched videos, read hundreds of online reviews as well as endless comments in CruiseCritic, constantly on the search for the perfect scenario for our needs and wants. The most important criteria for us is taking an Antarctica cruise is the inclusion in getting off the ship to board small Zodiac boats that travel to the ice floes for close encounters with wildlife. The "cruising only" options of many ships with no "off ship" experiences typically last for 10 to 11 days. This was definitely not worth the lower cost to us. We wanted more. We knew a 14 to 17 day cruise with use of excursions on guided Zodiac boats for up close and personal wildlife experiences was the driving force behind our research and ultimately, our final decision. Then, of course, the price, age of the ship, quality of ship, number of passengers, reviews and accommodations on the smaller ships that visit this vast area of the world became a vital factor in finding the right cruise. For me, I'd have been content to sail on the less luxurious ships with minimal accommodations if necessary to make it affordable. But, as our research continued, the lower priced older, less luxurious ships didn't offer much lower pricing and...sacrificing luxury no longer became an issue. In any case, it was going to cost us dearly. After considerable research, we decided on the French Ponant Cruise line which has small enough ships to maneuver into areas larger ships cannot navigate. Also, the cruise line offered excellent accommodations and amenities including tips and alcoholic beverages, upscale food with scientists and professional photographers on board. Over this past 18 months as we continued our search, we resigned ourselves to the outrageous cost of these 14 to 16 day cruises. Prices on most Antarctica cruises begin at a low of NZ $14,682, US $8800, per person for more modest accommodations on less desirable ships to a high of NZ $79,285, US $54,000 on luxury ships. Ships are categorized by "number of stars" ranging from a low of "3" to a high of "6" for the pricey high end ships. The ship we selected, Ponant's Le Soleal, is rated a "5.5". We're very happy with this. The price, on the other hand made us cringe a little although we were prepared it would be high. The cost for the balcony cabin we selected on the fourth deck of Ponant Le Soleal is a combined (for two) NZ $50,654, US $34,500, as opposed to the much lower priced third deck where the medical center is located. We didn't want to be close to that! Le Soléal features a sleek silhouette and a welcoming, intimate atmosphere. Le Soléal accommodates up to just 264 passengers and embodies the philosophy and spirit of yacht cruising that has made Ponant a success. All 132 staterooms and suites feature ocean views, and the interior of the ship boasts contemporary décor with fluid lines and a modern color scheme. Trips in a Zodiac boat will allow passengers to get as close as possible to the natural grace of the Arctic lands, and a team of naturalists and lecturers will accompany guests and share their knowledge, experience and passion for their subject. Carrying on a tradition of reducing impact on the environment, Le Soléal also features a state-of-the-art navigational positioning system, eliminating the need to drop anchor and therefore protecting the seabed. This advanced system also lowers smoke emissions and includes an optical and submarine detection system to avoid collisions with marine life, both day and night. Tipping Guidelines Gratuities are included in the cruise fare. Yesterday, we paid the non-refundable deposit of 25% at NZ $12,666, US $8,625. Even that made us cringe. 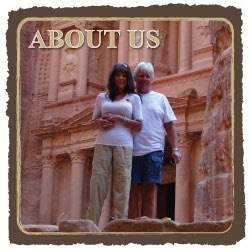 But, we look at this much desired cruise as a once-in-a-lifetime experience, one neither of us ever dreamed possible. Going forward, we'll share more information on this cruise including the cost and details of renting appropriate outerwear clothing, boots and gloves which the cruise line arranges after we make our online selections. The cruise lines have requirements on which items we must rent to ensure they don't have to deal with less appropriately dressed passengers. Today, we received an online form from our highly competent cruise rep at Vacations to Go, Brooklyn Earnhardt who can be reached here which included medical forms we must have signed by a doctor no more than 90 days before departure date. Here we are today, only one week from boarding the Royal Caribbean Voyager of the Seas at the Port of Sydney, Australia. No, this upcoming cruise may not be as exciting as the Antarctica cruise. But, our enthusiasm and level of excitement is high, as always, as we continue on to our next adventure. May your day find you filled with enthusiasm for whatever your day brings. Today, we'll be hanging out with 47 adorable alpaca moms and babies. What more could we possibly want? A juice bar on wheels in Hanalei. A tour we'd planned was rained out. Instead we visited Hanalei, a small tourist town in Kauai. For more photos, please click here.